The Cambell or Campbell Scottish clan dates back to the 11th Century, and links to old Gaelic terms. The family tartan has been through many momentous events. The clan Cambell is thought to date back as far as the legend of King Arthur, yet there’s no real evidence to back this claim up. However that does not mean to say the Cambells or Campbells did not do great things for their country and monarchs. Like most clans, the Campbells can be attributed to a blend of different tribes and races, thought to have come together in the 13th Century. The first use of the name has it recorded as Cambel in the Stirling area around 1263. Around 20 or so years later, the name was also used in Argyll and Loch Awa. Argyll is still thought to be the main land associated with the Campbell surname , as the present chief, who is the 13th Duke of Argyll, still resides here. ‘Campbell’ as the correct spelling of the surname. The Campbell clan had a tumultuous time in the 17th Century as they warred with Highland Catholics. They suffered a huge defeat, and it wasn’t until 1688, where William of Orange appeared, that they had the family estates restored. William of Orange also raised their Earl to Duke. Notable Campbells include Sir Colin Campbell, Lord Clyde, who was revered as one of the greatest military professionals in the British Empire, and Sir Malcolm Brown Campbell, famous for bringing the Malcolm Campbell Ltd grocery chain and introducing new produce such as bananas in Scotland. 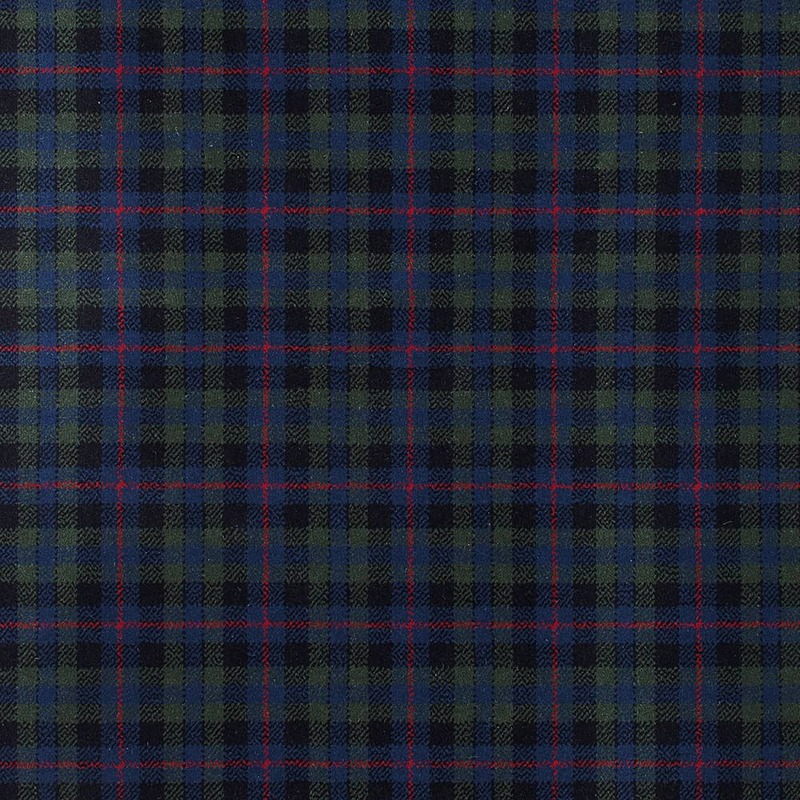 The Campbell family tartan itself comprises of royal blue, black and forest green stripes and squares. The pattern and colouring are not too dissimilar to that of the Black Watch Tartan, though the Campbell Highland dress is slightly more intricate in design.